Every person can find themselves in the need for an extra brain boost to give them an extra edge. 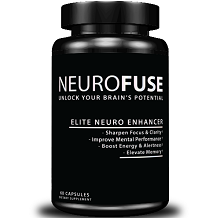 This Neurofuse review is going to take a closer look at the facts and details to learn more about how this brain boosting supplement works and to see if it’s worth trying out for effective results. The manufacturer claims that Neurofuse includes nootropic herbs to improve brain health and cognition. They also claim that it improves brain health and cognition, sharpens your memory and can boost your energy. Other Ingredients: Brown rice flour, Magnesium Stearate, Gelatin, Titanium Dioxide. To help support increased mental performance, start by taking 1-2 capsules preferably with food. Depending on desired effect, tolerance and body type you can increase this to a single serving of 3-4 capsules. Do not exceed four capsules per serving or six capsules in any 24 hour period. Neurofuse is only meant for adults that are over the age of eighteen. Talk to your doctor before taking this supplement. Do not take Neurofuse if you are pregnant, nursing, under the age of eighteen or have a family history of heart disease, high blood pressure or stroke. Discontinue use if you experience any adverse side effects. We were unable to find any associated side effects with Neurofuse. The manufacturer is not forthcoming about the price. They only offer the option to sign up for a 14-day free trial but do not have the price listings. Upon signing up for the free trial they will take your payment information and at the end of the trial will begin auto-shipping bottles every month until you request to stop. We were able to find one 60-capsule bottle online for $33. There are no discounted bulk purchasing packages offered but that can vary according to the retailer you purchase from. The manufacturer claims that the reason they offer you a 14-day free trial is so that you can make a determination whether or not you want to continue with this product. If you are not satisfied with the product you have the option to cancel your auto-ship orders. There is no mention of an actual money back policy. Neurofuse appears to be a promising supplement. 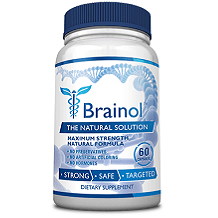 Its primary ingredients have been shown to have properties that can support your brain health and the manufacturer offers what appears to be a generous fourteen day free trial. However, while the manufacturer’s free trial may seem generous, signing up for it will set you up for automatic reordering. Upon signing up for the free trial, you have to provide all of your contact information and credit card details. You will then be subsequently charged every month for a new bottle until you cancel your automatic orders. The manufacturer also does not seem to have any sort of money back policy which means that if you forget to cancel and are left with unwanted bottles, you cannot get your money back from the manufacturer. Choosing Neurofuse is risky. You are better off choosing a brain boosting supplement that offers honest and straightforward purchasing options.